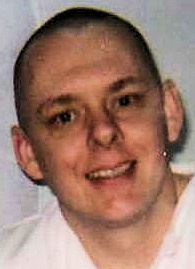 Michael John Yowell was executed by the state of Texas on October 9, 2013. He was pronounced dead at 7:11 pm CDT, inside the Walls Unit execution chamber at the Huntsville State Penitentiary in Huntsville, Texas. Michael was 43 years of age. He was executed for the murder of his father, 55-year-old Johnny Yowell, his mother, 53-year-old Carol Nichols, and his grandmother, 89-year-old Viola Davis. Michael killed his family in a panic after they caught him stealing money for drugs. Michael was neglected as a child and had attempted to commit suicide in 1991. His father was an alcoholic gambler who abused Michael. Prior to his arrest, Michael worked as a steel fabrication, a cook, and a laborer. He had previously been arrested for possessing a controlled substance. Michael was addicted to drugs, which cost him $200 a day. Please pray for peace and healing for the family of Johnny, Carol, Viola, and Michael.